Remember back when I told you there were new releases on the horizon? The time is finally here! Way back when I was first contacted about participating in A Tuscan Legacy, I had this idea for a hero. He was different than my usual heroes. He was suave, confident, and maybe just a little too full of himself. Sounds like a real charmer, right? Of course, every hero needs a heroine, and if my guy was going to have a high opinion of himself, he needed a woman who…well…who wouldn’t have a high opinion of him. I decided she wouldn’t be shy about voicing her opinion, either. Because having her keep it to herself wouldn’t be nearly as much fun. PIERO CARTER RAN AS IF his life depended on it. Between the idiosyncrasies of German traffic and his cab’s flat tire, he was late. He was the photographer, and the photo shoot couldn’t very well start without him. No worries there. He prided himself on a level of professionalism, even if it had deserted him at the moment. It hadn’t deserted him. It had ground him under its heels and left him like a pile of dust. His destination was in sight through the next doorway, and Piero sprinted for it. He didn’t plan for the slippery rug, though. Or the curvy blonde who stepped into his path. He went down hard, and he took the woman with him. At least he managed to land under her. That had to count for something. The rug they were on — acting more like a flying carpet than a proper historic replica — carried them through the entryway before it skidded to a stop at the foot of the famed English Stairway, one of the gems of the Dresden Royal Palace and the site of that day’s photo shoot. Good ol’ Marty. He made obnoxious people look like sweet-tempered, little old ladies. The blonde, who hadn’t screamed even once as they’d careened across centuries-old wooden floors, jumped from his lap as though she’d been given a good jolt of electricity. Her face flamed red as she sent him a glare before she scuttled across the room and behind the temporary curtains set up to create a pseudo-dressing room for the models. Not that models tended to be particularly modest. But it was generally bad form to wander around historic landmarks in a foreign land when wearing nothing but skivvies. Or less. Piero shook off the shock of his grand entrance and made his way over to the camera table. He’d set it up the day before, double-checked all his settings, and arranged each camera the way he liked it. Not that he was fanatical… After all, he’d only requested one security guard to keep an eye on the shoot site overnight. He ran his fingers along the cameras as he contemplated the stairway and the light filtering through the windows. His eyes flitted over to the curtained-off area. Just who had that woman been? The models all nodded but remained more or less motionless, except for Analise. A nod from Charise, and the young model was climbing the steps. She turned to face Piero as Charise’s assistants worked to drape her dress just so. A whistle from their boss told the assistants when their work was done. They flitted to and fro to get out of the way. Some went up the stairs, and some went down. Better to separate than to risk tripping over a dress’s fabric and undoing the work they’d already put into creating the perfect image. Piero paced back and forth at the foot of the stairs as he looked at the model, the empty space, and the shadows. He took a couple of test shots before calling for a shift in two of the reflective umbrellas. His head wasn’t in the game. He couldn’t rid himself of the feel of the blonde in his arms. As soon as he’d gone down and taken her with him, he’d wrapped his arms around her. Instinct had taken over, and he’d wanted to protect her from further harm. Instinct didn’t explain the jolt he’d felt. Or the way she’d fit into his arms as if she’d been made just for that purpose. Or the way her softness had felt perfect against the sharp angles of his body. He would have to seek her out later and apologize. Maybe he could get her name, offer to buy her dinner. She was only half of his distraction today, though. Nothing was ever going to be the same. He had a cousin he’d never heard of, and something was afoot at Villa Rossi. Nope. Nothing was ever going to be the same. Charise’s clap brought Piero back to the present. The model now climbing the stairs was… Who was she? That wasn’t Patrice or Genevieve. Had they already gone through the first three models? “Makeup!” Charise’s voice boomed in the marbled space. The blonde shot out from behind the curtain, a bag over her shoulder. She stopped by Charise, listened, and then climbed the stairs with purpose in each step. She had to squeeze up tight against the banister and rise up on her tiptoes to move around the dress’s fabric, but she did so with agility. One arm looped around the banister, she used her free hand to pull something out of her bag, and then leaned precariously over the dress’s extravagant train to dab something on the model’s face. When Charise whistled, the blonde pulled herself back to the relative security of the banister and tip-toed her way back down the steps. Not before Piero’s finger slipped on the shutter button and captured her image. A couple of times. 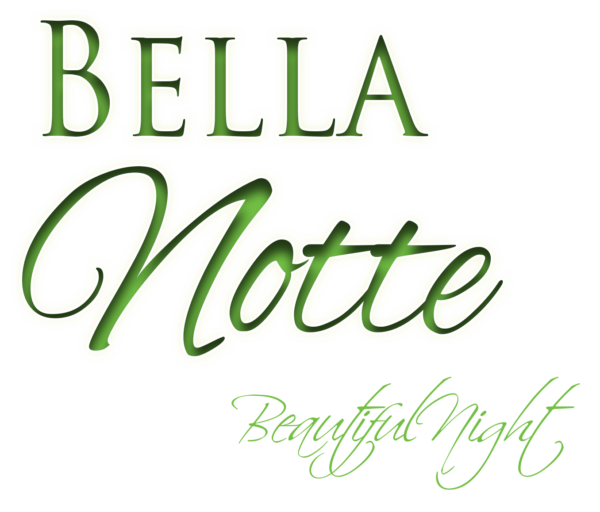 You can preorder Bella Notte for 99c. 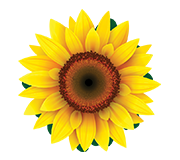 You can also check out all of the Tuscan Legacy books here. Answer in the comments! One random commenter will be selected to win a $5 Amazon gift card. Italy or France. One day I will…. 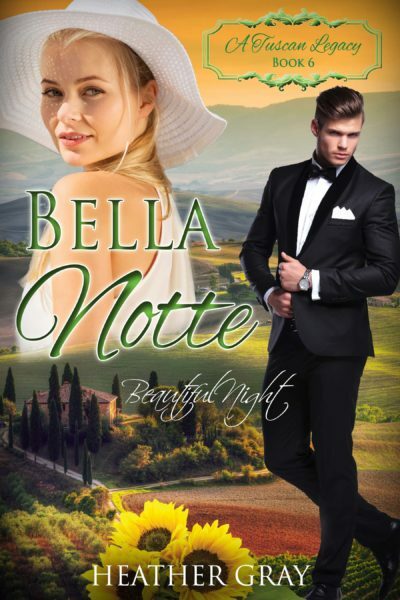 Hi Heather, Bella Notte is preordered and awaiting download date to my kindle:) This series has started well and I am excited to read the rest and learn more about the Rossi’s. Hmm, anywhere in the world…truthfully, I have always wanted to go the Bible lands (such a broad term to cover a HUGE area). As a History and Religion teacher, the thought of visiting the places from the Old and New Testaments sounds wonderful. I’m glad you’re enjoying the series! I used to have a pastor who traveled to the Holy Land with his wife for their 52nd wedding anniversary. They had such a spectacular time there, and his preaching was enriched by that experience. His only regret was that he hadn’t gone sooner. I hope you get to make the trip someday and that it’s all you hope it will be! London; my daughter went recently and had some a great time. Now I must go. My mom visited London a few years ago and said it was fantastic. I studied medieval literature and history in college and would LOVE to see some of the places I learned about, including many of the places in and around London. Hi Heather! I am enjoying traveling the world through the series A Tuscan Legacy. The rest of the series is on preorder and this avid reader is anxiously awaiting each new romance every Tuesday. The romance I have read are well crafted and delightful. Fun traveling through Europe with Piero Carter and Felicity von Wolff. As a German American, Europe is my favorite place to travel and Switzerland is my favorite country. No need to include me in the giveaway. Scotland, the history and the scenery. Piero and Felicity spend some time in Scotland in Bella Notte. I had so much fun writing those scenes and enjoying the beautiful scenery that I found through all my online searches. Seeing it in person, though? Oh yeah – that has to be awesome! Bella Nolte looks like so much fun, I love when a guy meets his match! I just started book one in this series last night and can’t wait to read them all. There are so many places I’d like to go, but I think a Mediterranean cruise would be great, I could see Italy, France, Greece and Spain all in one trip! I was talking yesterday with someone who just got back from a two-week cruise. Theirs wasn’t Mediterranean, but the things they got to see on their trip – it’s amazing! A cruise sounds like a fun way to see many peoples and cultures in a short period of time. I hope you get to go someday! Hi, Heather! I am so looking forward to reading all of these books! As a 2nd generation Italian, I would LOVE to go to Italy to see my family ancestral home! There’s something about Italy that calls out to us, isn’t there? When I think of Italy, I think of that blend of passion and elegance. I would love to visit there someday and really spend some time. After all, the only way to really experience a culture is to be there for a while. It’s hard to really capture the essence of a country in a short trip. Thank you so much for the gift card…it will be well spent on books!! I’d love to go to Hawaii to see the birds and flowers. I’d like to go to France to Mont St Michel, my grandmothers favorite spot in her homeland. I’m enjoying the series and looking forward to your book. I am looking forward to reading these books! I don’t care to travel far nowadays so a nice beach trip would suit me fine! I do love the beach – especially a quiet beach without a million people on it! If I could go anywhere in the world I’d go to Sicily, Italy. My grandfather’s family came from there. I’d love to actually travel all over Italy, unfortunately, my husband doesn’t like to travel too much so it will always be just a dream. Heather I want to put in my two cent here…..I LOVE THIS SERIES! I can’t wait to read all of it. I would love to go to some exotic island. Have a blessed day. I would love to go to Ireland. I would love to see all the history, castles, and beauty I’ve heard Ireland has. Yes! Ireland would be beautiful to visit, wouldn’t it? All that history…and beautiful scenery. Good choice! Piero and Felicity sound like a lot of fun! I am so excited to read your books. I have the series so far with the preorder. I hope to get to them soon. It’s been crazy around here. Thank you for your article. I really enjoyed it. Both sound like fabulous destinations! We have friends who live in Canada and have been from one end to the other. I would love to visit them via the train. Fantastic food, place to sleep, and let someone else do the driving. I’ve often thought how fun it would be to take a train tour of Alaska! I have always wanted to roam around Scotland again and then on to Ireland. Two beautiful countries! So glad that you’ve had to chance to visit at least one of them before! It’s not very exciting, but I really want to visit Boston. We homeschool and my oldest did 2 years of American History and my daughter is currently in her first of those same 2 years, so I’d really love to see where so much of America’s early history occurred. Living in Virginia, we’ve visited so many historic sites. It’s a fascinating place to live. Boston is equally historic, but from what I understand, the mood and atmosphere there is vastly different. I think it would be a blast to visit there as well! I’d love to see Ireland and Scotland because I love the accents! Ha! I’d also like to see New Zealand because that’s where the hobbits live. i would love to go to Italy for the food. And yes the men😁 just to hear them talk. I haven’t traveled much at all. First time I went to Disneyworld I was 61 years old! We had a blast! I think I would like to see some of the historic places in the good old USA. I love learning about history by seeing places it happened like Shiloh some of the national parks. Scotland. The pictures look beautiful and I enjoy Reading stories based there. Scotland would be a blast to visit! I hope you get the chance to go there someday! Honolulu because I like the warm weather and the culture. London because I’m an Anglophile. I would love to visit the Holy Land, Israel! Having been a Christian since I was 4, I’ve always dreamed of being able to see the places I’ve read about in the Bible. I’ve seen pictures, TV shows, & movies set in Isreal. But to be able to be in same places as the Children of Israel, & Jesus would bring me great joy! I’ve been told that a trip to the Holy Land is an amazing experience. I would love to go there myself someday. I’d love to go back to Switzerland and Scotland and do some more exploring. They are two of my favorite countries. Those two seem to me to be such vastly different places. What attracts you to each one? I’d love to go to Israel because I’d like to walk where Jesus walked. I would like to take a train across the TranSiberian Railway from St Petersburg to Beijing. Oh wow! That sounds like a fabulous trip! That would be an amazing experience. I can’t wait to read this story. (And maybe, just maybe Piero reminds me of another hero… from Nowhere for Christmas?! Whatshisname?) Well, never mind the name, but if this is anywhere near that book, then I really can’t wait to read it. China, Japan, All of Great Britain, New Zealand and Australia, South Africa (I have friends there), All of Europe, Sweden and Norway, and I’m sure I’ve left out somewhere that I’ll think of in fifteen minutes. At my age, however, most of it must be arm-chair travel. Or better still, through these wonderful books. I would love to go to a state where there are Amish communities and visit one. I love reading Amish fiction and have always wondered what they are like. France is my dream vacation. I took several years of French and fell in love with the language and culture. Piero and Felicity spend some of their time in Paris, and I had fun writing those scenes. I borrowed the help of a retired French teacher to make sure I got the language right. She and another friend had been to Paris previously, too, and were able to tell me about the best (or most interesting) places to visit. Those scenes were tons of fun because I had that second-hand experience to draw on. I think Machu Picchu would be fantastic or the mountains of New Zealand, or even a Mediterranean cruise would be interesting!